Register now to Try before you Buy! Come down on the 27th of October and water test a range of our boats. 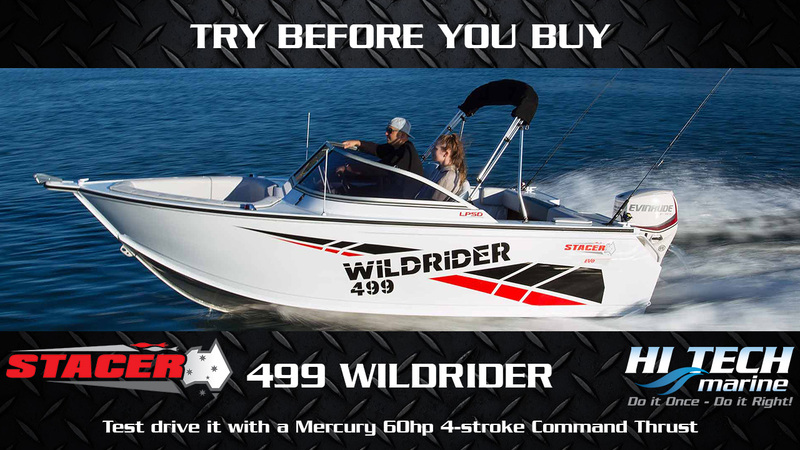 Hitech Marine Will have the Following boats and engines Ready for you to try for yourself. 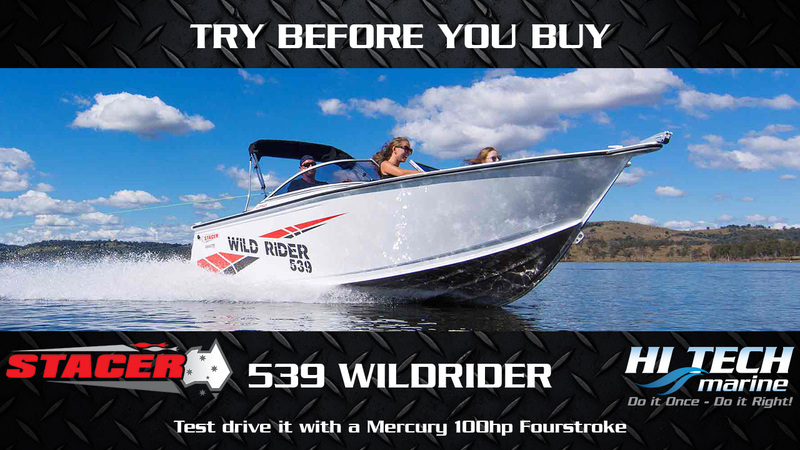 Stacer 539 Wildrider Powered by a Mercury 100hp Fourstroke Outboard. 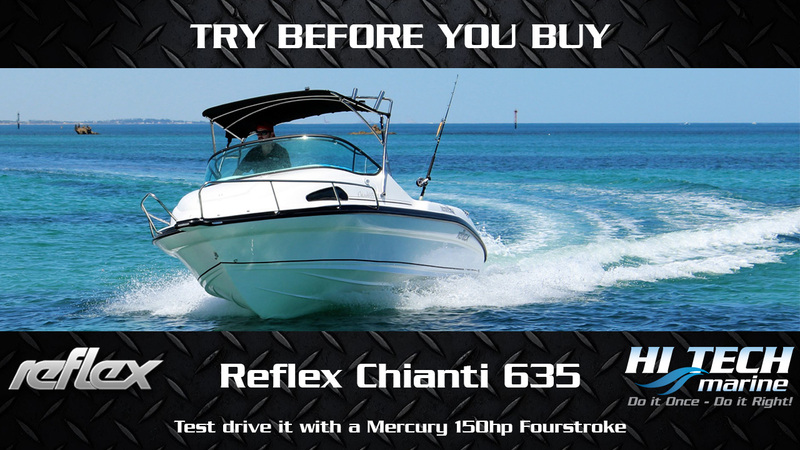 Take our boats & New Mercury Outboards for a Spin – Completely Obligation free! Bring the Family for a Great afternoon out with a FREE SAUSAGE SIZZLE! 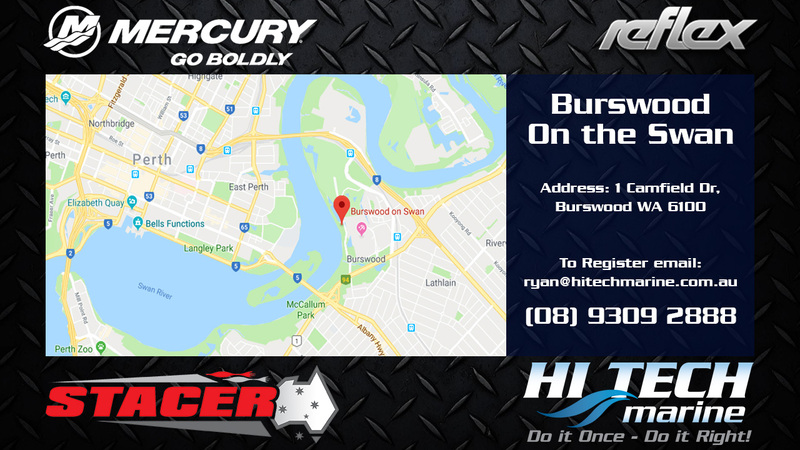 All Participants Must register to the email address ryan@hitechmarine.com.au or RVSP on the event on our Facebook page. Send us through the following details and we’ll see you there. Please note: You will be refused entry/boarding of our vessel’s if you have not registered prior.